SOFIA (Bulgaria), March 22 (SeeNews) - An online retailer's plans for 1.0 billion euro ($1.137 billion) in sales in six years, a tender for the sale of a state-owned bank, another large-scale Chinese investment and an airport concession were among the most interesting developments in Southeast Europe (SEE) this week. 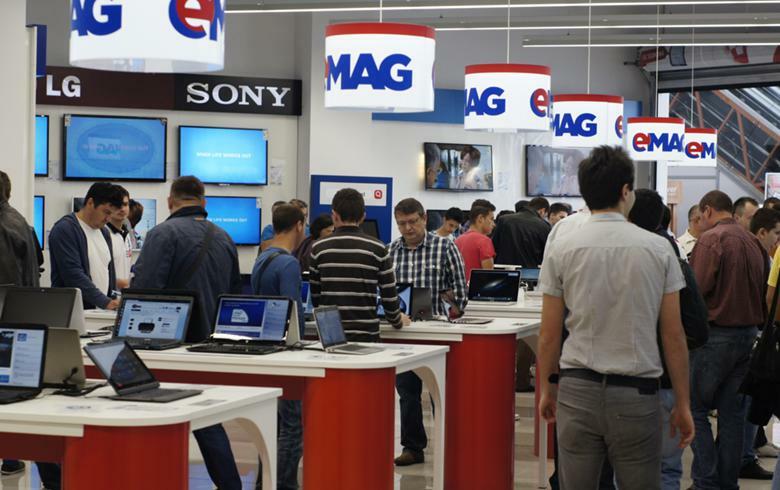 Romanian online retailer eMAG said on Thursday it is expanding to the Czech Republic, Slovakia, Slovenia, Croatia and Austria following the merger of its Hungarian unit with local peer Extreme Digital, and will target 1.0 billion euro ($1.137 billion) in sales in six years-time. Slovenia has received seven binding bids for the privatisation of state-owned lender Abanka, including an offer from Serbia's AIK Banka, Ljubljana-based media reported. In addition to AIK Banka, the list of bidders includes Hungary's OTP Group, Austria's Erste Bank, as well as US investment funds Apollo and Blackstone, daily Delo reported on Wednesday. The deadline for placing binding bids expired on March 19, Delo said. "All participants in the sale process signed an agreement on non-disclosure of information, so I cannot comment on the possible submission of the offer to Abanka," Delo quoted the CEO of AIK Banka, Jelena Galic, as saying on Wednesday during a news conference on the acquisition of a majority stake in another Slovenian bank, Gorenjska Banka, by the Serbian lender. Last week, Slovenian media reported that OTP placed the best bid for Slovenia's third-largest lender Abanka, offering to pay about 300 million euro ($341 million), a bid that is much lower than Abanka's 578.9 million euro equity and the price range of 347 million euro to 463 million euro estimated by analysts polled by Invest Slovenia last year. Slovenia's state holding company SDH invited in October expressions of interest for the sale of 100% shareholding interest in Abanka. In 2013, the Slovenian government had to step in and recapitalise Abanka with 348 million euro whilst also seizing control of the bank. In October 2015, Abanka and its state-owned peer Banka Celje merged. Banka Celje ceased to exist as an independent legal entity. Abanka as the acquiring company and universal legal successor entered all legal relations concerning its peer. Chinese bus manufacturer Yin Long Group plans to start manufacturing electric buses at the factory of Serbian sector player Ikarbus, the managing director of Ikarbus, Aleksandar Vicentic, said on Friday. "Yin Long has serious plans for Ikarbus. It will retain the existing production programme and will expand it by producing electric vehicles that it plans to offer to the countries in the region, and then to the rest of Europe and the world," Vicentic said in a video file posted on the website of Serbian broadcaster RTS. On Thursday, Dragan Stevanovic, state secretary at the economy ministry, said Yin Long Group has repaid the outstanding debt of Ikarbus and will soon take control of the company. Yin Long will acquire Ikarbus through its subsidiary Lanzhou Guangdong New Energy Automobile (LGNEA), RTS said. The Chinese investor will take control of Ikarbus after the company's restructuring plan is approved by the Commercial Court, Vicentic also said. "In the first six months after the takeover, I expect the company to hire about 100 workers," he added. Ikarbus operates a factory in Belgrade's urban municipality of Zemun with a manufacturing capacity of 250 vehicles per year. The company currently produces low-floor and articulated city buses, as well as intercity buses. Albania's government has endorsed the infrastructure ministry's choice of a concessionaire of Kukes airport, infrastructure minister Belinda Balluku said on Wednesday. The joint venture comprising Albanian-registered companies Global Technical Mechanics and Bami has been declared winner in the tender for reconstruction, operation and maintenance of Kukes airport with its offer to invest around 8 million euro ($9.1 million), Balluku said in statement. The proposed term of the concession contract will be 35 years. The project for reconstruction of the airport in Kukes, in northeastern Albania, must be completed witin 24 months. The airport is planned to initially employ around 220 people, Balluku said. It is expected to handle around 300,000 passengers a year in the first years of operation. The Kukes airport has attracted increased interest from some low-cost airlines such as Wizz Air, easyJet, Ryanair, Vueling and Pegasus, Balluku noted. The joint venture, the sole participant in the tender for the Kukes airport concession, will be supported in the project by Dutch-based NACO Airport Consultancy and Engineering which has experience in airport management and administration, the infrastructure ministry said in January. The airport in Kukes will become operational by the autumn of 2019, prime minister Edi Rama said in November last year. The project for the reconstruction of airport envisages the extension of the runway and an upgrade of the terminal building. The airport will mainly service flights of low-cost carriers. Currently, Tirana International Airport Mother Teresa is Albania's only operational airport. The Albanian government has already started negotiations with a Turkish consortium for the construction of an airport near the southwestern port city of Vlora, an investment estimated at 100 million euro, following the approval of the project by the Albanian parliament in February.